On 19th March 2014, IBMR Students have attended AIMA’s 8th National Research Conference at AIMA Delhi on theme “Managing Turbulence in Management Education: Aligning with the needs of Industry”, at India International Centre, New Delhi with the aim of bringing together Academia, Industry, Policy makers, Students and concerned Stakeholders to deliberate on pertinent questions that are currently debated to Manage Turbulence in Management Education. Some of the distinguished speakers present there include; Prof. Ved Prakash, Chairman, University Grant Commission (UGC), Mr. R C Bhargava, Chairman, Maruti Suzuki India Ltd., Mr.Dheeraj Mathur, Executive Director & National Leader of the Education Practice, PricewaterhouseCoopers Private Limited, Mr. Manish Sabharwal, CEO, TeamLease, Mr. Ajit Balakrishnan, founder Chairman & CEO Rediffmail.com, Dr Amir Ullah Khan, Vice Chancellor, The Glocal University, Prof. Rajiv Shorey, CEO and Co-Founder, Chi Square Analytics, Prof. A K Sen Gupta, Mentor at SIES College of Management Studies, Prof. Prem Vrat, Vice Chancellor, ITM University & Professor of Eminence, MDI, Gurgaon, Dr. C S Nagpal, Vice Chancellor, Ansal University, Prof. Ashok Saxena, Vice Chancellor, Galgotias University, Mr. Sanjeev Bikhchandani, Founder & CEO, Naukri.com and many more. it in red tape. There are fears that the other Tata JV, with Singapore Airlines (SIA), could be delayed as well using the same rules. spanner in the works of the foreign direct investment (FDI) proposal. A top DGCA official told Mail Today that they have received some objections against AirAsia India’s application. 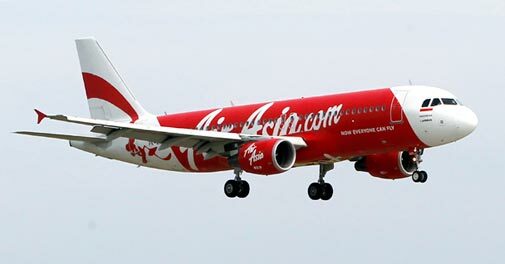 The official pointed out that if the DGCA does not approve AirAsia India’s flying permit by February 20, the airline would again have to get a fresh no-objection certificate (NoC) from the civil aviation ministry. The DGCA had given 30 days to the public on January 13 to submit its feedback on AirAsia India, which means that it is only after February 13 that it will study the objections and then send a notice to the carrier. This leaves a mere seven days for the DGCA to first study the objections and then send the notice to AirAsia so that the airline can furnish its reply. The response would have to be examined by the DGCA to arrive at a conclusion. Consequently, it would be extremely difficult for AirAsia India to meet the February 20 deadline leading to lapse of its NoC and the cumbersome procedure of applying for a certificate all over again. The DGCA official also clarified that once AirAsia India got the NoC, the DGCA should not have invoked the archaic rules. Another DGCA official pointed out that the regulator did not invoke the old rules, which made it mandatory for receiving public opinion, in the case of the Jet-Etihad deal. Till 1997-98, the DGCA had powers to give NoC and flying permits to start-ups. However, since then, issuing NoCs has become the prerogative of the ministry and the DGCA is only authorised to look into facts concerning granting of the permit, the official added. DGCA chief Prabhat Kumar did not reply to phone calls and text messages sent by Mail Today on the issue. Civil aviation minister Ajit Singh had fast- tracked the Jet- Etihad deal but has moved rather slowly on the AirAsia- Tata and Tata- SIA proposals. In fact, Singh had caused confusion last year by stating that the AirAsia-Tata JV could face procedural issues as there was a lack of clarity whether FDI was allowed by foreign carriers in new airline ventures. However, the Department of Industrial Policy and Promotion had overruled Singh’s contention on the AirAsia- Tata JV. The benchmark BSE Sensex extended losses for the fifth straight session and fell by over 200 points in morning trade on Thursday following sustained selling by funds after the US Federal Reserve decided to further taper its monetary stimulus programme . 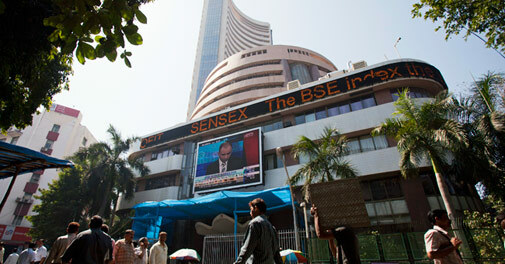 At 10.57 AM, Sensex was down 224.33 points at 20422.97. Similarly, Nifty was down 65.40 points at 6054.85 during the same time. Brokers said a weak trend in Asian trade sparked by emerging markets turmoil coupled with the Federal Reserve deciding to further cut its monetary stimulus by $10 billion to $65 billion dampened the trading sentiment. They said participants adopted a cautious approach keeping in view the monthly expiry in the derivatives segments. Besides, monthly expiry in the derivatives segment also weighed on the sentiment. All the sectoral indices were trading in negative zone, led by consumer durables, realty and banking. In the Asian region, Japan’s Nikkei Index tumbled 3.33 per cent, while Hong Kong’s Hang Seng index shed 1.22 per cent in early trade. The US Dow Jones Industrial Average ended 1.19 per cent down in Wednesday’s trade. NEW DELHI: CrisilBSE 0.19 % is forecasting a 20 per cent increase in the operating profits of large telecom companies over the next two years, led by better pricing power, increasing data usage and emerging regulatory clarity ringing in good times. That’s twice the operating-profit CAGR of about 10 per cent seen in the last five years, as quoted by Crisil press release on Thursday. The rating agency is of the view that half of this increase will be due to tariff increases ..
MIS (management information systems) is a general term for the computer systems in anenterprise that provide information about its business operations. It’s also used to refer to the people who manage these systems. Typically, in a large corporation, “MIS” or the “MIS department” refers to a central or centrally-coordinated system of computer expertise and management, often including mainframe systems but also including by extension the corporation’s entire network of computer resources. Amid slowing economy, the gross direct tax collection has risen only by 13.18 per cent to Rs 3.68 lakh crore during the April-November period of 2013-14 fiscal. 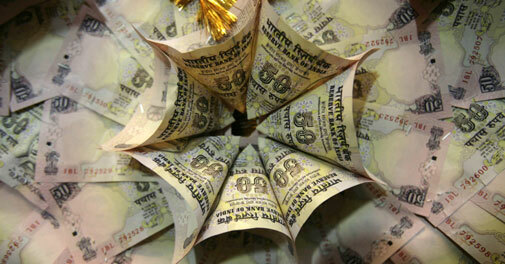 The collections had totalled Rs 3.25 lakh crore during the first eight months of the 2012-13 fiscal. Net direct tax collections rose 14.60 per cent to Rs 3,10,317 crore during April-November, as against Rs 2,70,771 crore in the year-ago period, the Finance Ministry said in a statement on Thursday. The government has fixed direct tax collection target of over Rs 6.68 lakh crore for 2013-14, envisaging a growth of 19 per cent, as against Rs 5.65 lakh crore in 2012-13. The gross collection of corporate taxes increased 9.66 per cent to Rs 2,25,124 crore during April-November, up from Rs 2,05,291 crore in the year-ago period, the Finance Ministry said in a statement today. Gross collection of personal income tax was up by 19.60 per cent to Rs 1,39,763 crore in the first eight months of this fiscal, from Rs 1,16,862 crore in the year-ago period. Securities Transaction Tax or STT mop-up stands at Rs 3,053 crore. Wealth tax collection posted a growth of 13.38 per cent to Rs 712 crore, from Rs 628 crore.